The Renaissance: What prompted the Western cultural rebirth? 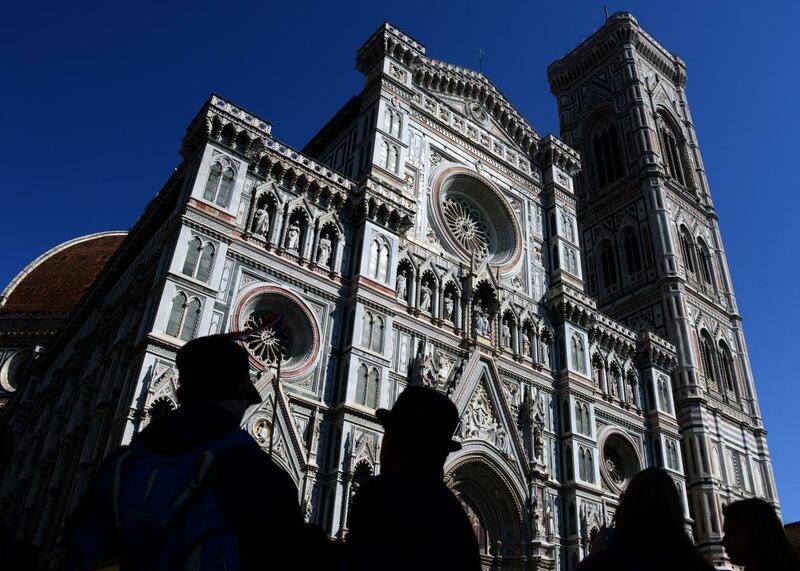 Florence, Italy’s Santa Maria del Fiore Cathedral, seen here in April 2015, is an example of Renaissance architecture. The term Renaissance was first coined by the French historian Jules Michelet in the 1850s but did not gain popularity until its use by Jacob Burckhardt in his book The Civilization of the Renaissance in Italy in 1860. It was Burckhardt who propagated the idea of the Renaissance as a great “renewal” of Western culture, where people broke free of the supposedly stultifying medieval world and established a bright new civilization based on the wonders of the Greek and Roman past. Modern historians have modified this picture considerably and no longer regard the Middle Ages as a “dark age” but rather as a period of considerable innovation and change, but the idea of the Renaissance as a good thing and the Middle Ages as bad seems to remain fixed in the popular imagination. This is despite the fact that the post-medieval period in Europe was just as religious (perhaps more fanatically so) and in many ways even more superstitious and violent than the Middle Ages. The reasons for the Renaissance’s obsession with the Greeks and Romans that the question presents as a cultural rebirth were varied. To begin with, the idea that ancient classical culture was worthy of admiration and emulation had been around for centuries. Throughout the Middle Ages, scholars looked back at the Greeks and Romans as the highest possible authorities apart from, perhaps, the Bible. Even when an ancient writer seemed to contradict the Bible, medieval scholars strove to reconcile the two and find a synthesis, because they found it hard to imagine that the great ancient authorities could have actually got something wrong. The 12th-century rediscovery of hundreds of ancient texts that had been lost in the West via Arabic translations had been stimulated by this great admiration of and desire for the work of these ancient greats. The main difference between the attitude of medieval scholars to the Greeks and Romans and that of the scholars, artists, and architects of the Renaissance movement was that the medievals considered themselves to be inferior to the ancients, whereas the Renaissance humanists considered themselves to be the ancients’ equals. So while the late 11th-century scholar Bernard of Chartres described scholars of his day as “dwarves standing on the shoulders of giants,” Renaissance writers and thinkers considered themselves to be giants almost equal or even wholly equal to the ancients. This in turn led to a denigration of their immediate predecessors. Renaissance scholars such as Petrarch scorned earlier medieval writers as inferior to the ancients and strove to emulate Greek and Roman writers instead. Renaissance architects turned their back on medieval styles of building and copied Roman styles instead. Medieval gothic architecture was so-called because the aficionados of the “new” (actually, old) style considered it barbaric, despite the fact that it was not only innovative but also technically superior to anything the Greeks and Romans built. The very terms medieval and Middle Ages were coined by Renaissance writers to belittle the period in between the glories of the classical world and their supposed revival in the Renaissance. Yet despite all this, the Renaissance was actually an outgrowth of the Middle Ages. The revival of ancient learning took place mainly in the Middle Ages, not the Renaissance. The economic rise that made the buildings and artworks of the Renaissance possible was the result of medieval expansion and innovation. And even the Protestant Reformation that was responsible for new ways of thinking (as well as a lot of repression, violence, and war) was in the tradition of earlier medieval reforms of the Church, though the earlier ones had been more successful in that they didn’t result in schisms and fragmentation or war. Essentially, the Renaissance was the result of Western Europe getting over its medieval inferiority complex when it came to the classical world. Many of our modern attitudes were shaped by the Renaissance, which is why the popular idea that it was good and the Middle Ages were bad is so hard to shake, no matter how historians try. Despite more than 100 years of art that is not relentlessly realistic in mode, from the Impressionists onward, most people still see the realist art of the Renaissance as good and find the far more stylized and symbolic art of the Middle Ages much harder to relate to. Classical styles of building are still admired (though few people today would go so far as to describe Chartres Cathedral or Sainte-Chapelle as barbaric). And, in the English-speaking world at least, the Protestant Reformation is still seen as a good thing, though most nonreligious people would have difficulty explaining exactly why. The Renaissance movement was the outcome of centuries of admiration of the ancient world and was a result of that admiration being taken to the extreme whereby the ancients were the touchstone of all that was good. This slightly strange and in many ways retrograde idea was so powerful that it is, in many ways, still with us today. Which is one of the reasons the Renaissance movement is still so widely admired. We are cultural heirs to this idea, even those of us who know that it doesn’t actually make much sense. History of Europe: Speaking about the hygiene, in the age of the Roman empire, was there soap, detergents or something similar? The Renaissance: Did the common people who lived during the Renaissance period know and understand that they were in a Renaissance period? Culture: Why do Hong Kongers dislike mainland Chinese?